I watch too much Amazon Prime streaming video. I’ve rushed through entire series, delved into bad movies, waited for great content. Until now, that’s mostly been run through a PC. Briefly, my viewing wandered into usage of the Roku–a product that worked, but never well enough for my tastes. So when Amazon announced the Fire TV, I jumped on the opportunity to try it out. Coming home from work, I saw it: the review kit. In the box were the Fire TV, an Amazon Fire Game Controller, and a six-foot HDMI cable. Setup was a breeze: plug it in, connect to Wi-Fi, connect the game controller via bluetooth. Navigating through the menus is just as easy, unsurprising given Amazon’s track record with solid user experiences. Underlying solid design work is a surprising amount of power: the Fire TV touts a variant of the Snapdragon 600 system-on-a-chip that’s somewhere in the neighborhood of Samsung’s Galaxy S4. While this makes sense in phones and tablets that are edging further into the realm of desktop-level multitasking, seeing that sort of technology in a set-top box is very nearly the definition of overkill. That’s assuming the Fire TV was only for media consumption, of course. A secondary objective for the device is the life of a sort-of Android games console. While others have dipped their toes into the market as a console-first concept (the hyped, and maligned Ouya, Nvidia’s Shield), none were particularly successful. Some time with a handful of games on the device showed me why. Simply put, the things that a tablet or phone gamer will put up with don’t translate well to a television. Titles such as Fist of Awesome and GraveStompers put this into context. Both are solid games, both also have shoddy audio design I’d quickly mute on a phone. That’s normal on a phone. That’s not normal on a home theater of any stripe. Controller usage was also wildly inconsistent. While most of the apps tested recognized and worked with the game controller, menus were still designed with a far-too-subtle glow best suited for touch. That is, when the in-game text didn’t also advise the player to tap the screen. Even worse is Madfinger’s Dead Trigger 2 which gleefully recognizes the controller–then makes manually setting every controller function mandatory. While having the end user set keybindings is a nice option, it is also a terrible design decision. Although understandable in a mobile market filled with knockoff products that would be improbable to develop for, this is a version of the game developed for five devices total that supports but one controller officially. Not having a pre-set keybinding to support that is baffling, and inexcusable. Inquiries were sent to Amazon and developers on the subject of a certification process to ensure apps are controller-friendly. The response by both parties was interesting, with an Amazon rep citing a detailed policy which covers every shortcoming from the prior three paragraphs (in full, post-review). It’s thorough, specific, and in my experience with the product not followed. A mobile developer who responded to the inquiry cited the certification process wasn’t all that intense, only really confirming if the app crashes during testing. While I certainly have a lot of issues with the Fire TV, none of which has to do with the product itself–it all falls at the feet of third parties porting their wares to Amazon’s set-top box. Amazon has set up a lot of potential with too-good-for-its-price hardware, a rock-solid OS, and amazing ease of use. 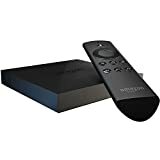 If they’re able to leave behind the decisions and events which led to slipshod QA on launch titles and tighten the reigns on their third parties for proper certification, the Fire TV could become a killer game system. And that’s the biggest shame and most impressive part: the system is fully capable of jumping to greatness with but one decision. It’s on Amazon to make it. The process to submit an app is the same as submitting to the Amazon Appstore. Developers will find similar services from Amazon available in our SDK to build apps and games for Fire TV. There are three simple things they need to do to optimize their apps for Fire TV.